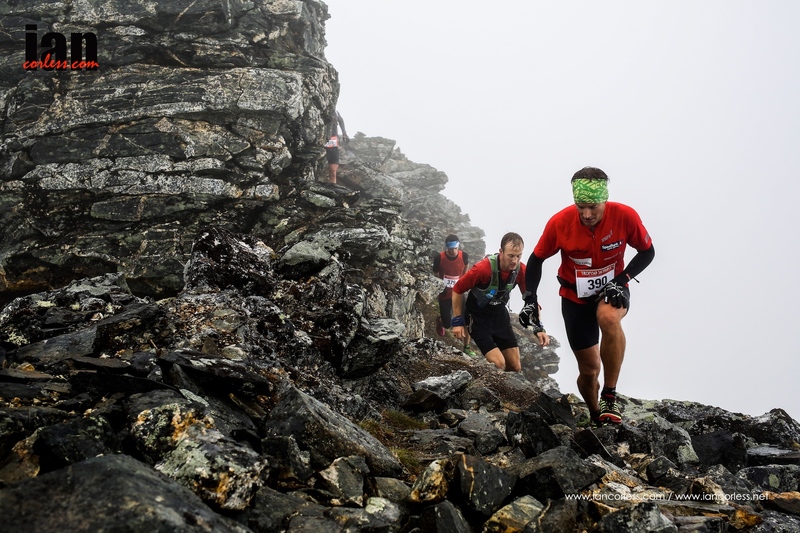 The mountains and fjords were lost in and amongst light persistent rain and cloud for the 2nd edition of the Tromsö Skyrace part of the ultra Skyrunner® World Series. Not even the 24-hour daylight could illuminate the proceedings, it was going to be a tough grey day. But despite the monotone, colour was in abundance; runners, race staff and marshals added that. 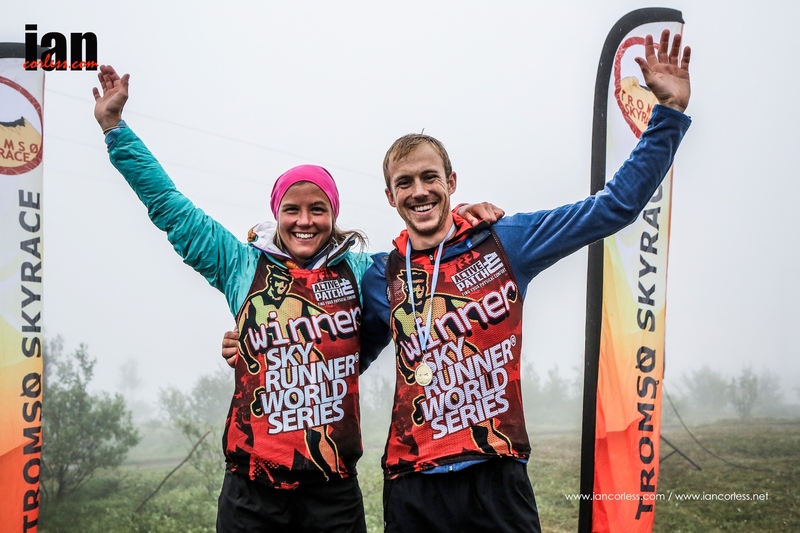 Anticipation worldwide for the Tromso Skyrace was high, and it’s clear to understand why. 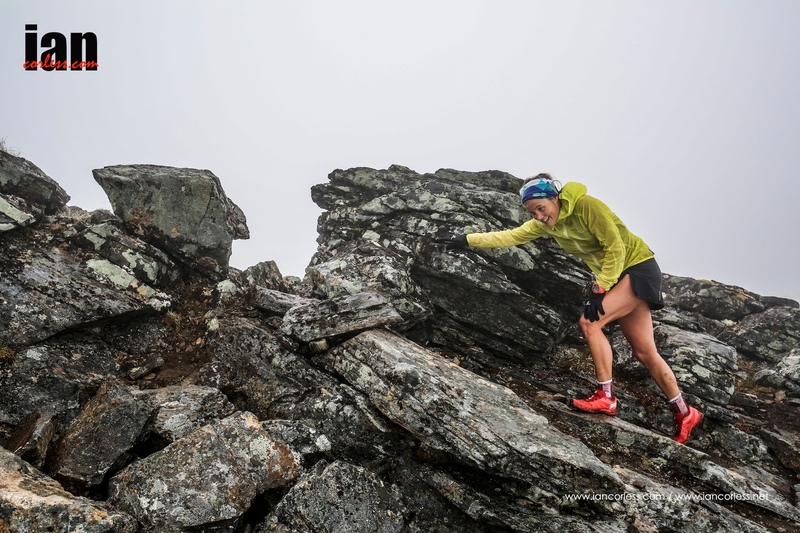 The race had 2 high profile race directors in Kilian Jornet and Emelie Forsberg, it had a world class field assembled and if offered arguably one of the toughest and most challenging 45km of any race, worldwide! Intense it was and I can say, having climbed all the way to the final summit and located myself on the ridge to capture the front runners, the climb or the ridge did not disappoint. On the contrary, at times it was quite intimidating! 400 runners departed from Fjellheisen at 10am and they had to run what looks like a figure of 8 course that takes in 2 mountain summits: Tromsdalstind (1.238m) and Hamperokken (1.404m). 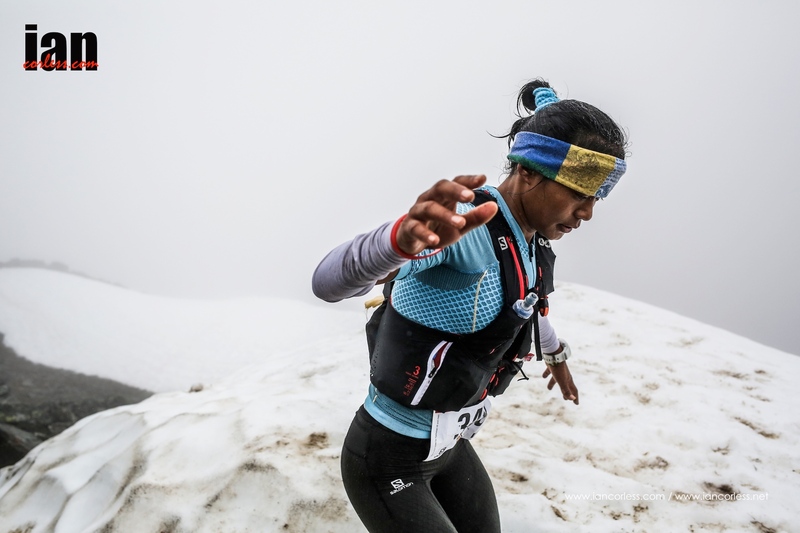 Crossing snow fields, rivers, dense forest and of course technical ridges, the race was made even more challenging with the weather and the ‘slick’ conditions underfoot. 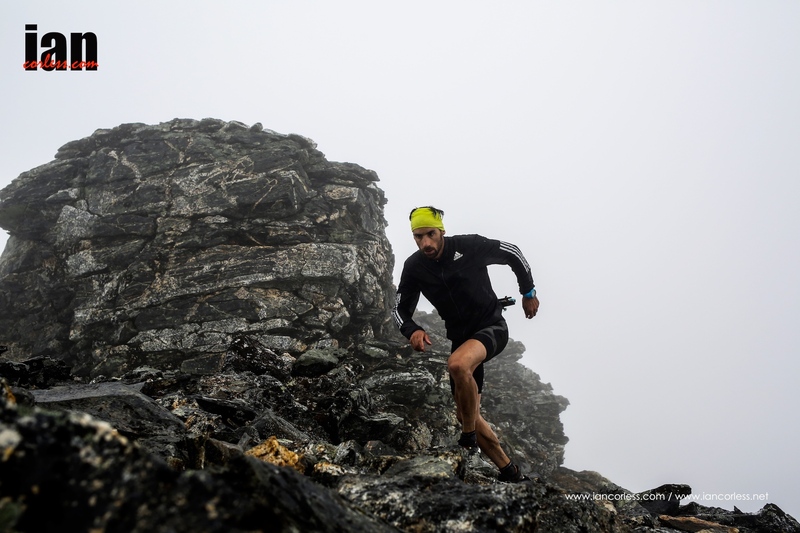 Skyrunner® World and European Champion for the Ultra distance, Luis Alberto Hernando was the odds-on favourite for victory and it was no surprise that he dictated the pace from the front. His arrival at Hamperokken ridge in 1st place was no surprise, however, the proximity of 2nd, 3rd, 4th and 5th was. They were only minutes behind! The charge was lead by Eirik Haugsness but Jonathon Albon was hot on his heels, as was Pascal Egli and Rolf Einar Jensen. Post race Haugsness commented that this group of 4 had agreed not to ‘race’ the ridge. It was a wise choice. It offers no room to pass and crossing from one end to the other is all about being comfortable with the challenge and doing so at ones own pace. On the descent though Albon moved ahead and went in pursuit of Hernando. “I was running with the group and I thought, I can go quicker than this so I did,” said Albon after the race. Albon caught Hernando before the final climb and then slowly but surely opened up a gap as the Spaniard started to seize with tiredness and fatigue. Albon took victory 17-minutes clear and although he came to this race a relative unknown, his win has turned heads. Coming from an obstacle racing background where he has been a world champion, this course suited him perfectly. It was a stunning win and boy-oh-boy is great to see a Brit on top of the podium. Hernando held on for 2nd and Einar Jensen took the final podium place. The ladies race actually had a very similar feel to the men’s race. 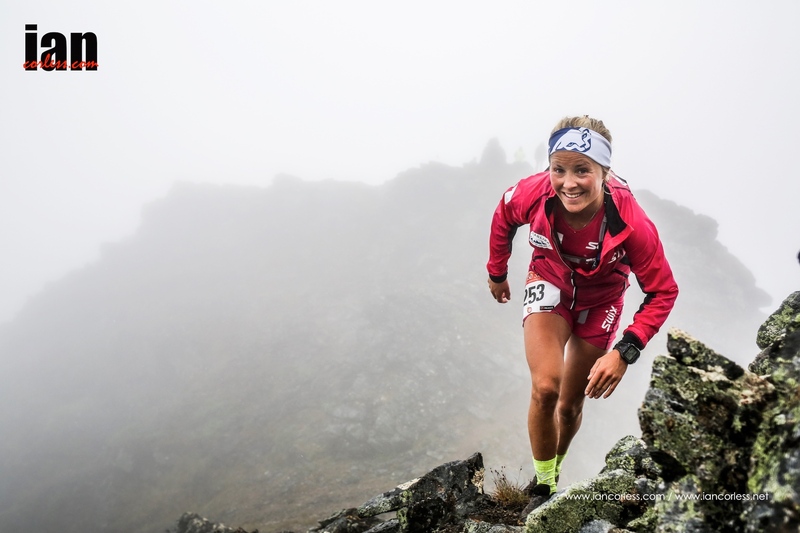 Race director, Emelie Forsberg had decided some time ago that she would run her own race and formulated a plan with co-race director Kilian Jornet and the team of marshals and helpers to facilitate that. 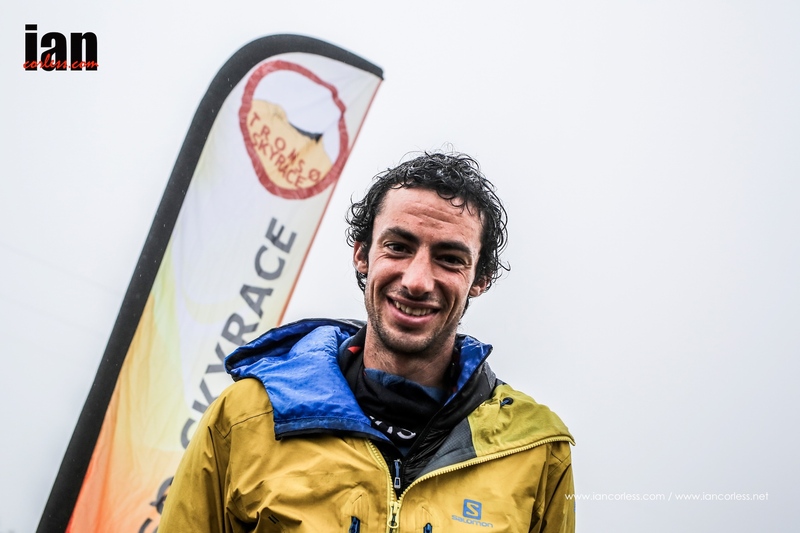 Like Hernando, Forsberg is the current Skyrunner® World Champion and European Champion for the ultra distance, so although victory was a distinct possibility it was not guaranteed. 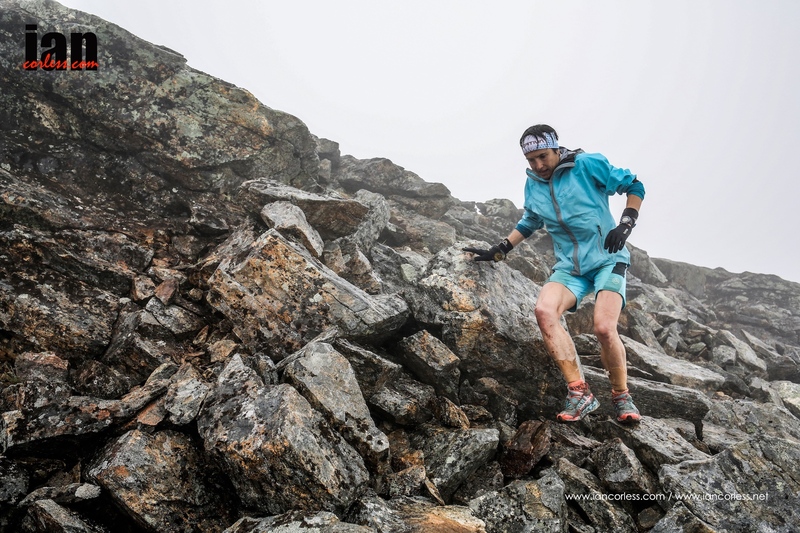 Forsberg arrived at Hamperokken ridge in 1st just like Hernando but was closely followed by Maite Maiora and Mira Rai. Norwegian Malena Haukøy was in 4th place but looked strong and composed. Over the final half of the course Forsberg slowly extended a small lead and Mira Rai pursued. Maite Maiora took a tumble on the descent from Hamperokken and although she received no permanent injury, it did impact on her race causing her to slow. Rai moved into 2nd (who also fell) and local girl Malena Haukøy moved ahead of Maiora and took an excellent 3rd on the podium. 111 runners completed the course before the midnight cut-off time. Of course the stories and experiences of an epic day in the mountains will continue to be revealed in the coming days and weeks. One thing is for sure, Kilian and Emelie have created something quite special in Tromso. 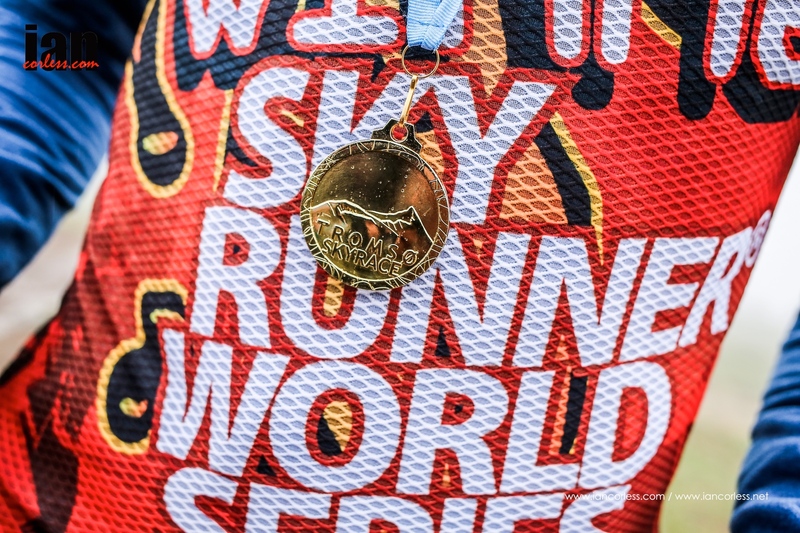 It’s a race that harks back to the roots of Skyrunning. It’s alpinism without the clutter. 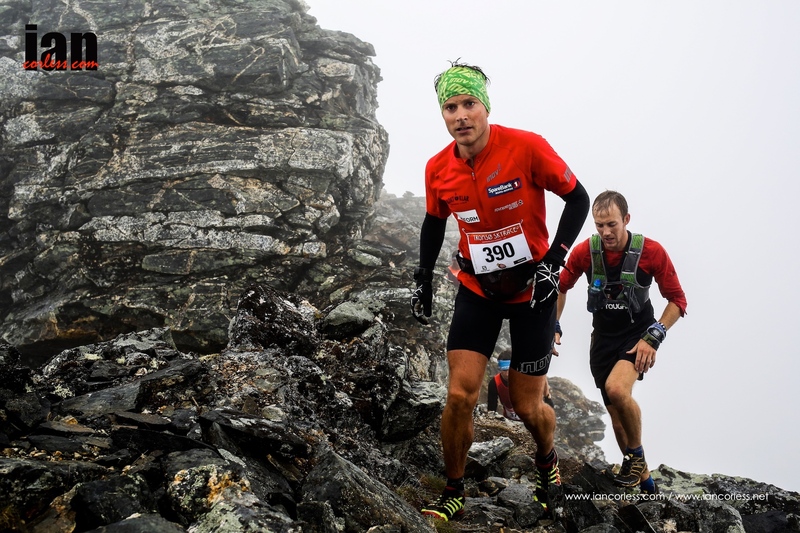 But be warned, this race is not for everyone and as such, just like Trofeo Kima in Italy, you need to ensure that you are prepared for the challenge that the Tromso Skyrace will throw at you. Roll on 2016. 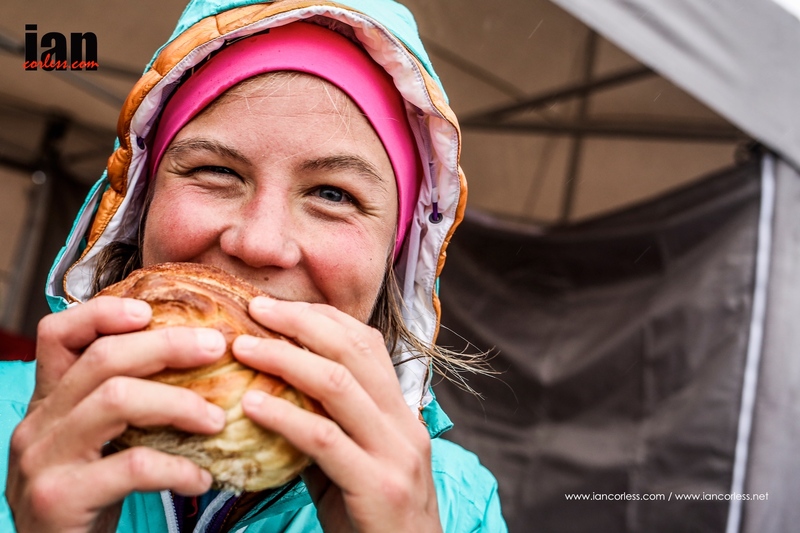 This entry was posted in Uncategorized and tagged emelie, Forsberg, Jornet, Kilian, Malena Haukøy, polartec, Salomon, Skyrace, tromso, yogi tea by talkultra. Bookmark the permalink.